You can’t put together your EDC bag without having the right tools for each kind of situation you may encounter. No matter what, it’s sure you’re going to need an EDC pen. A good EDC pen brings many good things to the table, but it has to bring toughness and durability more than anything. 0.2 Which type of EDC pen suits you? An EDC pen may be made of aluminum, titanium or stainless steel. Each of these materials means durability and you only need to concern about the weight they bring to the pen. When it comes to construction of the pen, some give better grips than others. So knurled sections and deep grooves ensure good, sturdy grip when you have your hand gloves on or no gloves on in wet weather. Some EDC pens give more than writing and are tough, becoming self-defense tools. They may break glass in emergency situations or win you some time as they are sharp and can give a sure cute. They do write, using some special ink that writes anywhere, in the most challenging conditions. As for the EDC pen types, there are three main categories to choose from. 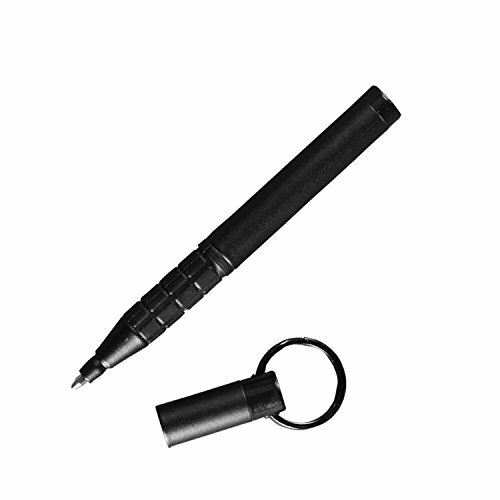 Tactical pens are used in the tactical and survival missions as they go beyond writing. They break glass and are self-defense tools if the situation calls for it. The tactical pens have aggressive knurled sections and ridges for grip, at least one pointed end and refills that can write in the most difficult conditions. An EDC pen doesn’t need to be tactical in order to be tough. Many pens today have metal bodies that give them strength and durability. These machined pens may accept tons of different refills and have more heft and a great feel in hand. 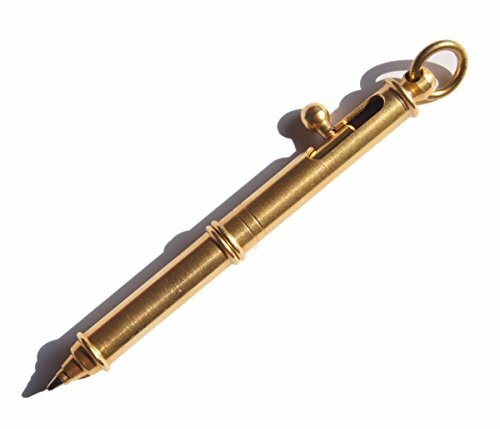 The ideal EDC pen has though a small footprint, is built for bigger life span and may be easily carried. The EDC pens let the cap to fit onto the back of the pen to extend as they are typically quite short to write with. They may feature keychain loops so that they may be easily carried around or attached to your EDC gear. Which type of EDC pen suits you? You may want to give it a go with a retractable ballpoint pen. This type of EDC pen is affordable, rugged and versatile. 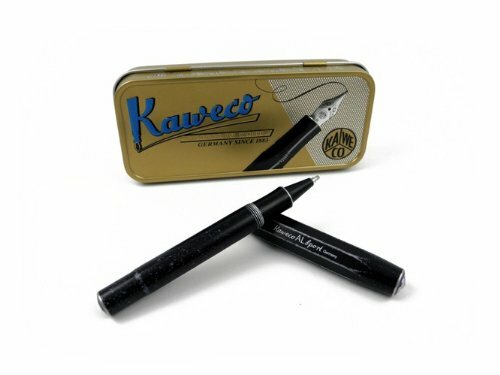 It writes smoothly, dries quickly and it’s pretty long lasting and have no cap to lose. 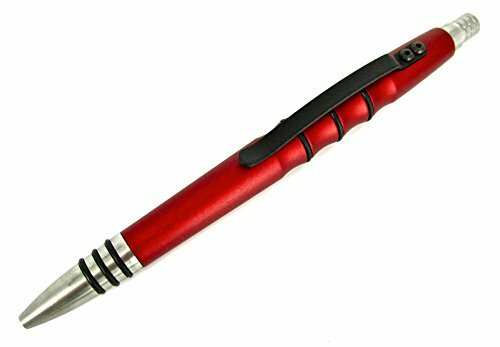 A retractable ballpoint pens may come in a chunky plastic construction with non-slip material grip and is compatible with a wide range of Parker-style ballpoint refills. You might want to try a multi pen as this type pf pen combines a variety of useful writing tools into a single convenient pen body. There is great variety to choose from and even customizable multi pens that you build from the ground up. If you think you’re going to write upside down at some point in your EDC adventures, then a pressurized space pen is your EDC pen. It writes upside-down, underwater, over grease and in freezing or boiling temperatures. The pressurized space pens are the no.1 choice for astronauts, explorers, chefs and any other person working in a wet or greasy environment. They have compact shapes for an easier sliding into your pocket and come with caps for more protection. In case you are a minimalist fan, a mini pen is your perfect EDC pen. This type of pen fits practically any small pocket and clips unobtrusively onto a pocket or notebook, extending for comfortable length when in use. If you like traditions more than anything, you may still use a fountain pen as your EDC pen. Keep in mind that you always need the right paper for best performance and you also need to give them time to dry. The fountain pens need occasional maintenance, but they offer smooth, one-of-a-kind writing experience. Mechanical pencils may be used on your EDC experiences and they are versatile as they can write on and be erased from paper and many other materials. The mechanical pencils are waterproof and archival just as well. When you want to make bold, permanent markings on any hard surface, permanent markers are the EDC writing tool to get. They may come with a stainless steel body and may also be easily wiped off, if you want it. Various types or markers fit various types of surfaces so chose one that fits your needs. Get the EDC pen that fits your likings, your needs as you are the only one who knows the best where, when and for how long you’re going to be on an EDC mission. All in all, though, for the money you pay you get a reliable EDC pen with some minor issues to it. But, in case you need an EDC pen that writes in a rainy day just as well, the Rite in the Rain Weather Trekker is sure a good buy. These cons aren’t deal breakers and the Zebra Sharbo is still a good EDC pen. The more you are willing to pay for your EDC pen, the more you should expect from it. The Kaweco Sport Gel Rollerball Pocket Pen may make you sit on the fence because of its special looks, but there’s nothing doubtful about its performance. As for the parts we like less, we only need the mention the shape of the pen. It looks great for some, but may be a bit weird to take for others. It’s also a downside that the pen has no clop for hanging it to a key ring and you may only store it in your pocket or its box. The Tuff-Writer Pen is a dual use pen and its only drawback is its price.